It can work alone. 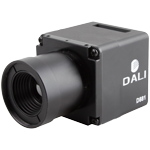 The front-end thermal imaging camera completes all the temperature measurement work, which will transmit infrared images and the original temperature measurement data to the information center or site work station,making the images out of signal compression, loss of signal and strong sense of anti-interference performance. It fundamentally guarantees the accuracy of the temperature data and stability. 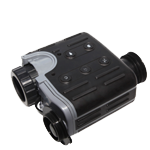 The bit resolution of thermal imaging camera itself is higher than the precision and resolution of the portable instrument, meanwhile when thermal imaging camera and zoom in visible light camera are installed to the same holder, this device can not only guarantee that the two cameras are monitoring the same setting point, but also it solved the problem of thermal imaging camera's difficulty to identify the equipment installation location. This device facilitates the immediate judge of specific hot spots of instruments, providing precious time for accurate judge and adopting corresponding measures. It provides standard SDK, making it easy to embed the original work platform. It uses Ethernet connection mode. Each machine has independent URL, and through the Ethernet independent addressing, it can form a monitoring network, not only making it possible to work together with a complete set of control system, but also it can be used alone. 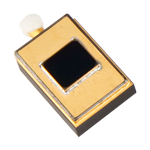 This kind of connection produces the high resolution images of the infrared image, and it can measure each pixel's temperature individually. 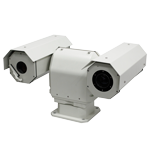 The image refresh frequency is 50 Hz / 60 Hz, and it supports 25 frames per second of analyzable infrared image output. The safety management, and all kinds of events management--mass storage, equipment management system and pictures, report output. Since it has high automation system, which can realize automatic equipment inspection, automatic alarm, automatic output statements, and other functions, it reduces the number of site supervision and improveswork efficiency. It adapts to the tendency of the few or even no personnel in the substation. Thermal online monitoring system collects the visible light, thermal infrared image and embedded processing technology to make real-time monitoring, which can monitor the operation of the substation equipment to be automatic checking, real-time monitoring, automatic warning, receiving real-time access equipment fault state information,meanwhile it automatically generates corresponding temperature change statements, with the characteristics of uninterrupted power supply, long distances,, safe and reliable, and high precision. It is one of the effective ways to realize the online testing and equipment repair. 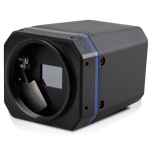 In the system, thermal imaging camera collects infrared images, and it constantly measures the surface temperature of the monitoring equipment. 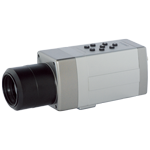 Through PAL video interface, RJ45 interface transmits infrared images and temperature data to the monitoring host. The users can observe the operation of the equipment in real time, and meanwhile the monitoring host can compress the temperature data and send it to the Local Area Network through internet so as to realize LAN real-time monitoring. Due to the different ways of the equipment installment, the system can be divided into several types: fixed online monitoring, airborne online monitoring, the online monitoring, movable on-line monitoring, etc.